The Donahue Maley and Burns team was chosen by Compass to introduce its state of the art real estate technology platform to the Wellesley market and surrounding towns. We believe that knowledge is essential for making better and more confident decisions regarding one of life’s most important personal and financial undertakings- the purchase or sale of a home. Compass delivers unprecedented access to valuable market data, trends and information which are only available on Compass’ proprietary real estate technology platform; a huge benefit in allowing buyers and sellers to make informed and confident decisions throughout their real estate transaction. From start to finish, our clients always come first. We listen, learn, and gain a true understanding of the unique goals of each person so that we can provide the best path for achieving them. Whether buying, selling or just poking around, we offer 24/7 accessibility, vast knowledge about the communities we represent, and unrivaled negotiation skills. These are the hallmarks and the foundation for how we conduct business. With nearly half a billion in sales, we continue to exceed expectations, one client at a time. Call or email us with any questions or when you’re ready to make your move. We sincerely look forward to working with you! The Donahue Maley Burns Team? Experience: The Donahue Maley Burns Team have over 16 years of experience representing buyers. The team’s past experience in the legal and financial sectors and the unique knowledge of the legal “ins and outs” of a real estate transaction puts Buyers in a position of strength and confidence while engaging in the home purchasing process. Professional, Knowledgeable, Trusted and Proven. A winning combination of skills and background to make your buying process as seamless and enjoyable as possible! Accessibility and Professionalism in Every Transaction: The Donahue Maley Burns Team is accessible to their Buyers 24/7 and are very quick to respond to any questions, issues or concerns. They are acutely aware that the purchase of a home is for most people one of the largest and most personal undertakings in their lives and treat each transaction with the professionalism, service and compassion that each Buyer deserves. The Team’s clients will often comment in testimonials that they are ‘straight shooters’ and that if there is a problem or issue with a house, they will be the first to mention it. 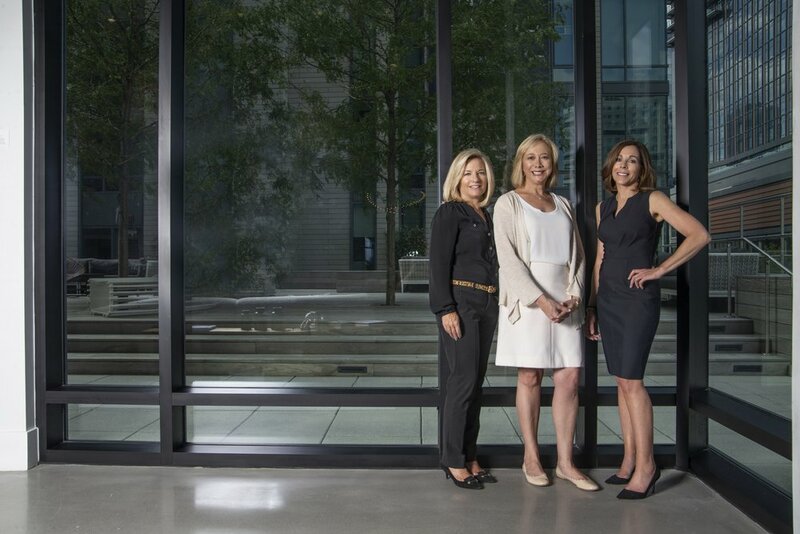 The Record: Consistently one of the top teams in Wellesley and Metro West, with nearly $400 million in sales, The Donahue Maley Burns Team continues to exceed expectations, one client at a time. In 2018, They were recognized by Boston Agent Magazine as Best Team in the 2018 Agents’ Choice Award. “We are honored to win this award. We owe our success to those clients who have entrusted us with one of life’s most significant financial undertakings — the purchase or sale of a home. We take this mission very seriously and we are thrilled to share our success with our clients.” They see buying real estate as a creative process, and derive a lot of personal satisfaction from it. It’s the reason they treat every home they buy as if it were their own — and why they invest so much of their time, energy and resources in every transaction. Honesty: Our primary goal is to yield the highest sale price for our sellers. The Donahue Maley Burns Team will give you a candid and thoughtful analysis of the suggested list price for your home. We will not inflate the list price in or order to ‘buy’ or get the listing, overpriced listings sell for less. Targeted and Dedicated Marketing for your Home: From beginning to end, the Donahue Maley Burns Team will ensure that the sales process is as seamless and enjoyable as possible. Aside from showings, broker and public open houses we are able to elevate your home to the next level with Compass’ proprietary technologies and our dedicated Marketing team. We run targeted marketing campaigns developed in conjunction with Compass’ demographic matching technology to get your house to the right buyers. Attention: Your emails, texts and calls will all be returned as soon as possible and usually within minutes. You will be notified of all showings well in advance and feedback on all showings usually right after the showing has been done. Recommendations for Staging and Repairs: You will not be advised to make repairs or improvements which will not impact the sale price of your home or the outcome of an inspection. Suggested repairs and improvements will be done with your discretion in obtaining the highest sale price for your property. 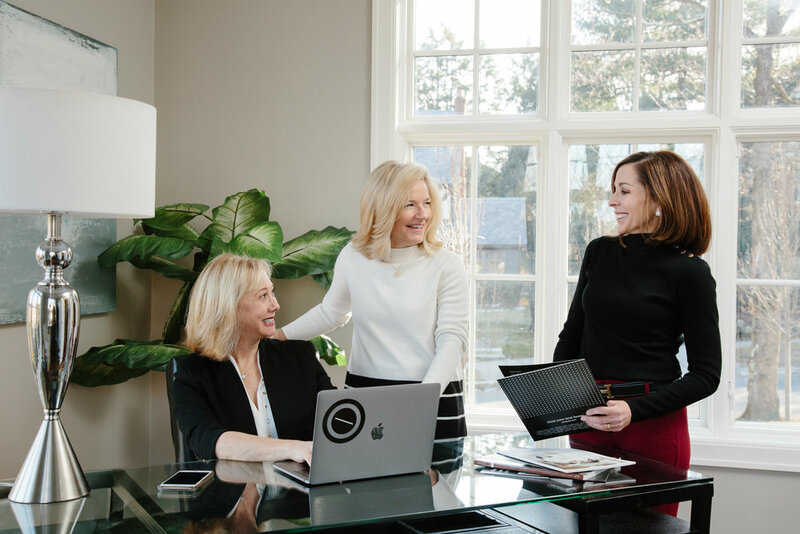 The Record: Consistently one of the top teams in Wellesley and Metro West, with nearly $400 million in sales, The Donahue Maley Burns Team continue to exceed expectations, one client at a time. In 2018, we were recognized by Boston Agent Magazine as Best Team in the 2018 Agents’ Choice Award. “We are honored to win this award. We owe our success to those clients who have entrusted us with one of life’s most significant financial undertakings — the purchase or sale of a home. We take this mission very seriously and we are thrilled to share our success with our clients.” We see selling real estate as a creative process, and derive personal satisfaction from it, which is why we invest so much of our time, energy and resources in every transaction. The Donahue Maley team was one of the top performing teams at BMS; Burns was a top performing individual agent. In the last 12 months these agents had over $107 million in combined sales volume, according to a statement. Thank you Boston Agent Magazine for recognizing our success and featuring us in this year’s 2018 Who’s Who in Residential Real Estate. We were out-of-town buyers - and so may as well have been first-time buyers. Understanding the unique complexities of the local market is a challenge, in addition to figuring out the various pros and cons of neighborhoods, school districts, etc. Lynn and Donna were patient and encouraging throughout the process. They showed us dozens of homes and even brought in a designer at one point to help us visualize what a renovation might look like. They ended up finding a unique deal for us in a tremendous location. And that's when the really incredible service began. Being new to the area, we knew of no services and contractors. Lynn texted with us almost daily for the first month we lived in the new house - helping us track down information from the previous owner, or to find contractors we needed last-minute during the winter. They continue to be great resources for us, and also to check in on occasion to see how we're doing. It's an "above and beyond" experience neither of expected. Now, we both wonder how we could have ever made the adjustments without their support. We have used Lynn and Donna for two purchases and a sale over the past 5 years. They have a great understanding of the market, made great recommendations in helping us improve and stage our house in a cost-effective manner, and helped us negotiate the entire process smoothly even in the case of one very difficult transaction. In addition to knowledge of the market, Lynn and Donna really add value with their local knowledge and recommendations for vendors and contractors. We would definitely recommend and use them again! Buying and selling at the same time can be quite stressful experience! Lynn & Donna's experience, knowledge, responsiveness and negotiation skills made the whole process a breeze! We couldn't be happier working with them! 6 Beds | 5 Baths | 3 Half Baths | 7,105 Sqft. 6 Bed | 5 Bath | 1 Half Bath | 6,406 Sqft. 5 Bed | 5 Bath | 2 Half Bath | 7,000 Sqft. 4 Bed | 4 Bath | 1 Half Bath | 5,239 Sqft. 5 Bed | 5 Bath | 1 Half Bath | 5,099 Sqft. 5 Beds | 4 Baths | 1 Half Bath | 5,250 Sqft. 4 Bed | 4 Baths | 1 Half Bath | 3,845 Sqft.